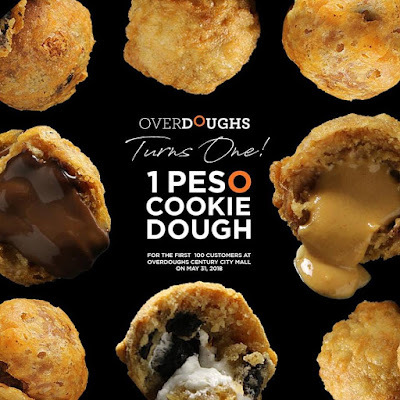 It's been a year since Overdoughs opened its first branch at Century City Mall in Makati! Let's congratulate them, and the first 100 customers can get their favorite *Cookie Dough Combo* for only 1 PESO (yes, piso lang!) on May 31, 2018! Head over to Overdoughs Century City Mall to avail of this exclusive treat!